San Francisco, CA — A domestic violence victim accused of fatally stabbing her estranged boyfriend was acquitted Tuesday by a San Francisco jury. “This was an exceptionally thoughtful and hard-working jury. 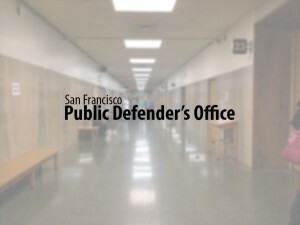 They scrutinized the evidence presented to them to find the facts and then wisely applied those facts to the law,” said Smith’s lawyer, Chief Attorney Teresa Caffese of the San Francisco Public Defender’s office. Pickett had a documented history of threats and violence toward Smith, with whom he had an infant daughter. Smith had been granted a restraining order against Pickett, who had taken some baby items from her vehicle immediately before the altercation began outside a Western Addition public housing complex where Smith had been living. The pair began arguing inside the parked car when Pickett began repeatedly punching Smith, she said. Smith claimed she never meant to kill Pickett when she stabbed him a single time in self-defense. Witnesses testified that Smith knelt beside Pickett after he collapsed onto the sidewalk, expressing shock he was seriously injured. Police noted Smith had injuries to her face and wrist when she turned herself in. Jurors in the nearly three-week trial heard testimony from witnesses who detailed Pickett’s history of physical and emotional abuse against Smith. “As the jury learned over the last few weeks, the cycles of domestic abuse and violence can touch anyone’s life in San Francisco. My prayer for the New Year is that, like the jury, we can all have a hand in creating a more just community,” Caffese said.